In the 1920s, many homebuyers came to the young, growing neighborhood of Belair-Edison, attracted by the quality workmanship of the brick homes with generous front and backyards and lured by the bucolic feel of the area. Some homes are still owned by the families who bought them when they were brand-new. The homes west of Brehms Lane are the oldest, dating back to the 1920s; the homes to the east were built in the early 1950s. These classic porch front houses feature French doors, hardwood floors and stained-glass windows. The last homes to be built sit at the northeast corner of the community, where residents had maintained victory gardens during World War II. The site of Sinclair Lane Elementary School was a horse farm where residents could rent horses to ride through Herring Run Park. Erdman Avenue, near Sinclair Lane, was called “lover’s lane” in earlier days. 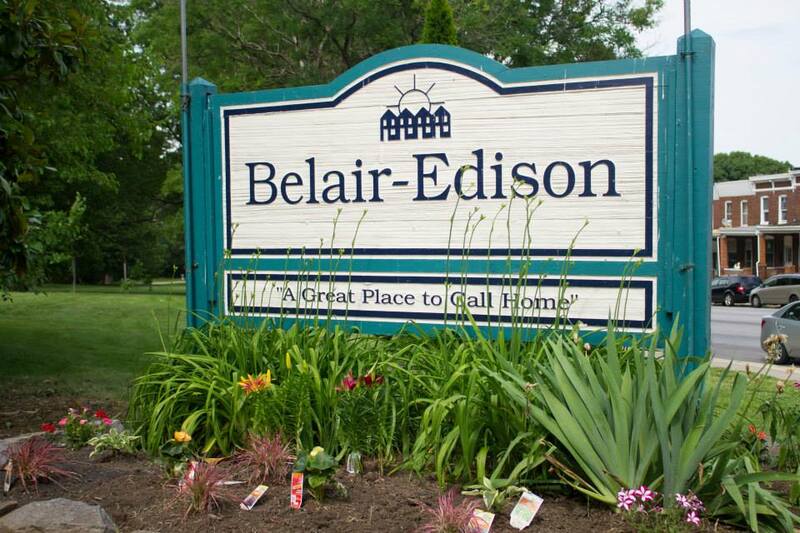 Belair-Edison was also known for its beer. In the mid-1800s, breweries were one of the main industries in this area. Brehms Brewery occupied more than 600 acres near Erdman Avenue and Brehms Lane. Underground tunnels have been found where the brewery stored its wares. Today, Belair-Edison may have more green space than any other neighborhood in the city. Three-hundred acres of woods, stream and paths make up Herring Run Park. Warm summer evenings welcome residents to family-friendly free movie nights in the park, which are screened on the wall of the recently renovated Herring Run Park Maintenance Shed. Adjacent Clifton Park features an 18-hole golf course, Baltimore’s first of five municipal golf courses. Golfers can participate in the Annual Golf Tournament where foursomes play 18- holes and compete for various prizes. Lake Montebello, which also borders the neighborhood, offers scenic views and a track for walkers and cyclists. Belair-Edison’s main intersection, Belair Road and Erdman Avenue, marks the neighborhood’s main shopping district. A centerpiece of Belair Road is Belair-Edison Neighborhoods, Inc., which offers home buying help and certified counseling and creates neighborhood events and programming that supply residents with recreation, fun and a chance to make friends with their neighbors. To contact Belair-Edison Neighborhoods, Inc. click here or call 410-485-8422.